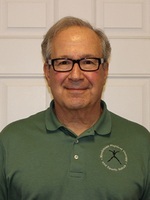 Mark Valente, PT, is President and owner of Woodstown Physical Therapy, Inc. since January 1, 2011. Mark and his wife Cheryl are longtime residents of the Woodstown-Pilesgrove area and were instrumental in the planning and designing of our state-of-the-art, 3500 sq. ft. facility. 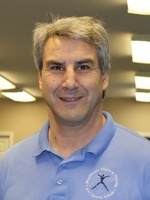 Mark brings to the Woodstown office over 30 years of experience in multiple settings around the country specializing in Spine, Sports and Joint Rehabilitation. Stephanie Ale, DPT, Cert. 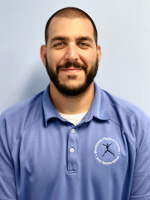 MDT, CSCS, is the Clinic Director of Woodstown Physical Therapy and Sports Rehab. 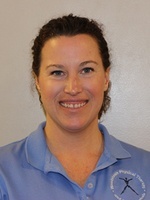 She is a resident of Pilesgrove and has been practicing physical therapy since graduating with her Doctorate from Arcadia University in 2006. Stephanie was very involved in playing soccer at Kingsway Regional High School and in college. She enjoys working out, playing softball, and participating in mud runs including the Tough Mudder. She recently got married and enjoys spending time with her husband. Stephanie is certified in the McKenzie method of Mechanical Diagnosis and Treatment and is studying to become a Certified Kinesio Taping Practitioner. 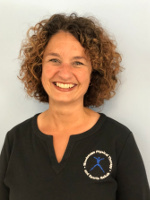 She strives to provide excellent quality of care focusing on including functional and sport specific activities in order to achieve patient goals. 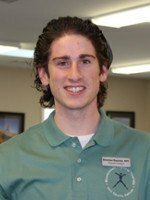 Brandon Boucher, DPT is a resident of Washington Twp, NJ. He attended high school at Washington Twp, where he was a member of the baseball and swim teams. He graduated college with Honors from the University of the Sciences in Philadelphia, where he studied Physical Therapy and played Division II NCAA baseball as a pitcher. He has been practicing as a Physical Therapist since graduating from the University of the Sciences in 2012. He enjoys working out, golfing, snowboarding, and continues to play baseball in a men’s baseball league. He has experience rehabilitating Temple University athletes from injury while on clinical rotations at University of the Sciences, and is certified in Part A of the McKenzie Mechanical Diagnosis and Treatment for low back pain. 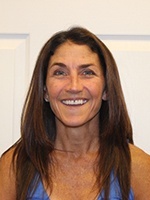 Kelly Boskey, MS, PT, graduated from Thomas Jefferson University in 1994. Her career, of almost 25 years, has primarily focused on geriatrics. She has worked in several sub-acute rehabilitation facilities, long term care settings, and completed home health care as well. Currently, in addition to working at WPT, she works in a local medical/hospital setting which allows her to speak directly to physicians and healthcare providers about the most up-to-date medical interventions. Kelly’s areas of experience include fall prevention, balance re-education, neurological disorders, total joint replacements, and stroke recovery. She is a LSVT BIG certified clinician and is able to provide specialized treatment to those with Parkinsons disease. 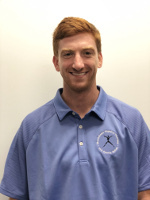 Evan Hathaway, DPT grew up in Woodstown and attended Woodstown High School, where he was a member of the soccer, basketball, and baseball teams. He completed his undergraduate studies at Elizabethtown College in Pennsylvania, where he studied biology and was a member of the Division III Basketball team. He graduated from Thomas Jefferson Doctorate of Physical Therapy Program in 2018. Evan is an avid Philadelphia sports fan, and enjoys playing golf in his free time. He has experience in a variety of settings where he has provided non-operative and post-operative care for a variety of orthopedic and sports related injuries. 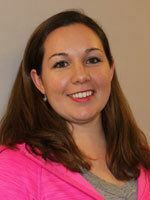 Sarah Kearney, DPT, is a resident of Wenonah. 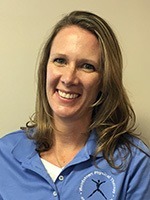 She previously worked at Woodstown Physical Therapy and Sports Rehab as a PT Aide while she pursued her Doctorate of Physical Therapy from Neumann University. She graduated in 2015 and returns to Woodstown Physical Therapy and Sport Rehab as a Physical Therapist. Previously Sarah was a collegiate athlete at La Salle University, as well as, a former Strength and Conditioning Coach at several universities including Notre Dame University, Pennsylvania State University, and SUNY: Stony Brook University. Sarah enjoys sports, and understands the importance of a healthy, functioning body– not just for sports, but for life. She loves getting to know her patients and making them feel comfortable as they transition back into a state of well-being. Rebecca Melniczuk, DPT moved to this area in 2009 from the suburbs of Philadelphia. She graduated from Temple University Doctorate of Physical Therapy Program in 2006. Since then she has worked in in-patient and out- patient settings. She values the importance of manual therapy in combination with exercise to help patients regain function. She has studied mat Pilates and incorporates the additional knowledge into her treatments. In 2015 she completed Dr. Ma’s Integrated Dry Needling certification. Rebecca enjoys keeping busy with her family and cooking. Gary Thompson, DPT is a current resident of Philadelphia. He attended high school at Timber Creek Regional High school in Erial, NJ. Gary graduated from University of the Sciences in Philadelphia in 2013 where he studied Physical Therapy and was a member of the division II baseball team. Gary enjoys working out, playing baseball, golf, and cooking. Gary has had experience in a variety of settings including hospitals, nursing facilities, and outpatient clinics where he has treated a wide variety of patients. Cheryl graduated from Quinnipiac University with a degree in PT in 1983. She began her career at A I DuPont Institute for children. At AIDI Cheryl worked with Orthopaedics, Head Injury, Scoliosis and neurologic dysfunctions. She remained there for 5 years becoming senior staff therapist and head of clinical education. After the birth of her first child, Cheryl began working in schools in Salem County and in Home Care. 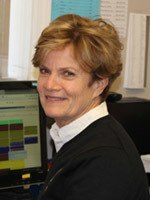 Cheryl recently joined our staff at Woodstown PT in 2011. Dr. John Castiglioni has practiced medicine for over 44 years. He became interested in Complementary Medicine, specifically the integration of his medical background and the methods involved in Cranial Sacral Therapy. He studied CST under Dr. John Upledger, the founder of Cranial Sacral Therapy at his West Palm Beach Clinic. Additionally, he is a Reiki Master which integrates the Energy Therapy of Reiki with the structural realignment of CST. He often uses both modalities to synergistically help clients. 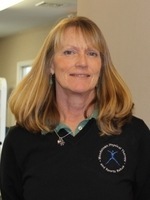 Dawn Illg-Short, LMT, has been in practice and studying bodywork for the past eleven years. She recently moved here from the Central Coast of California. Dawn has worked with hundreds of clients in assisting their bodies in reaching their optimal level of health and well-being. Specializing in CranioSacral, Ortho-Bionomy and Massage Therapies, she combines these bodywork techniques to release deep restrictions within the body that are causing pain, discomfort, stress, and lack of mobility, all without causing pain to the body. Dawn is passionate about life and the work she does and enjoys working and educating others on how to live comfortably within themselves. She recently went from being a single woman to a wife and Step-Mom of three. She enjoys spending time with her new family, walking in nature, exploring new places here on the East Coast and reading a good book. 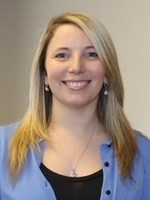 Nicole Cifone, Billing and Collections Manager, started working at Woodstown PT in 2008. Nicole is a die-hard Chicago Cubs fan and enjoys going to her home town of Mesa, AZ to watch spring training games. Also an avid Philadelphia Flyers fan. In Nicole’s spare time she enjoys going to the batting cages or ice skating. 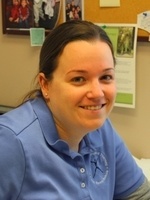 Nicole does the billing and collections for Woodstown PT and loves the group atmosphere of the clinic. Her favorite part of doing collections is being an advocate for the patient. 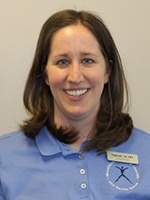 Katie Caldwell, Patient Services Coordinator, began working with Woodstown Physical Therapy in 2009. She is lifelong resident of the Woodstown area. She graduated from Woodstown High School in 1997 and obtained her Bachelor’s degree from Richard Stockton College in 2001. Katie and her husband live in Woodstown along with their four children. Katie strives to provide all patients with excellent customer service and to ensure that everyone feels informed and at ease from the moment they schedule their first appointment. 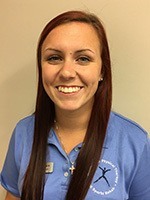 Laurel Pfeffer, Patient Service Coordinator and Physical Therapy Aide, is a 2007 graduate of Woodstown High School and in 2013 earned her degree in Athletic Training with a minor in psychology from Neumann University. Laurel is currently a Certified Athletic Trainer and plans to continue her studies in physical therapy at the graduate level. Laurel is active in her church and is a member of the WPC Softball Team and in a young women’s life group. Since 2006, Laurel has grown to love working with patients of all ages. She believes that quality patient experience includes an effective treatment as well as a positive overall experience with the team at Woodstown PT. Retired educator and former patient who truly understands the quality of services that Woodstown Physical Therapy gives each patient! Proud to be a part of this amazing team! Debbi Smick is the newest addition to our front desk team. She lives in Alloway with her husband and two children. Debbi enjoys spending time with her family and dog and going to the beach. 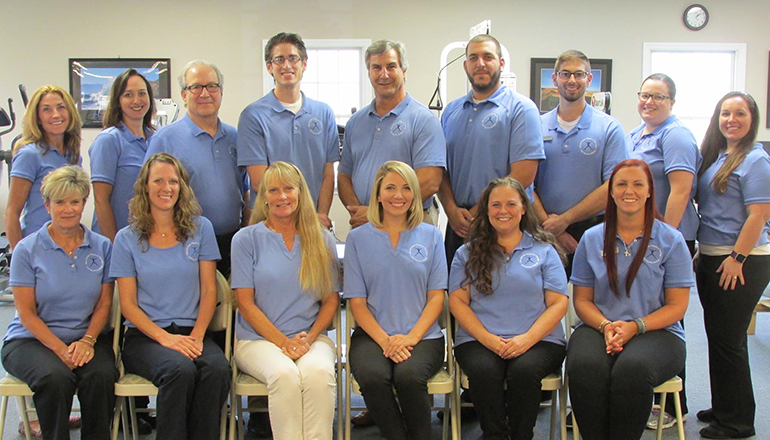 As a former patient at Woodstown Physical Therapy and Sports Rehab, she understands the importance of a welcoming office and the value of quality patient care that the office provides. Patti Lindstrom has been a registered dietitian for twenty years and a certified personal trainer for ten years. She has always been passionate about fitness and exercise and is the owner of Patti Lindstrom, LLC, providing personal training and nutrition counseling. Patti counsels clients on ways to optimize their health and improve their quality of life through healthy eating habits. Patti has been running since high school and has completed numerous marathons including a three time finisher of the Boston Marathon. In addition to running, Patti finds time to add yoga, strength training and biking to her workout routine. She also teaches Barre classes at Pink Lotus Yoga Studio in Swedesboro. She is excited to bring her expertise as a Registered Dietitian to Woodstown Physical Therapy and Sports Rehab. 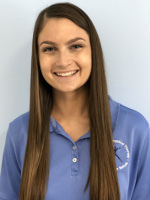 Caitlyn Hudock is a recent graduate from Immaculata University with a Bachelors Degree in Exercise Science with a concentration in Pre-Physical Therapy. While at Immaculata she also played on the softball team all four years. She is currently applying to graduate programs for Physical Therapy School. She enjoys working with patients and helping them on their path to recovery while building positive relationships and having fun with them. Kelsey grew up in Woodstown and attended Woodstown High School, where she was a member of the field hockey and basketball teams. After high school, Kelsey attended Virginia Tech graduating with a Bachelors Degree in Human Nutrition, Foods, and Exercise in 2017. While at VT, Kelsey worked as a Supervisor in the Recreational Sports Department. Besides working at WPT, Kelsey hopes to attend PT school in the Philadelphia area.